Recently, the 20-year old refrigerator in our family home in Alonnisos began to fail so we had to face the fact that it was time to replace it. While some folks on the island suggested that we shop for it on the Internet, I really felt it was better to deal face-to-face with local people for a purchase such as this. As such, I visited the ElectroNet store in Patitiri several times to do research in order to make a decision as to which fridge to buy. Each time I stopped by there I was greeted warmly by the salesperson, Smaragdi, and she patiently listened to my questions and answered them all. The other day we finally purchased one at ElectroNet and it was delivered just three hours later by one of the owners, Panayiotis, and two other men who clearly knew what they were doing. They not only brought the new fridge, they also took the old one away for only 20 Euros. I am pleased to say that the entire experience was very positive, and as such I highly recommend ElectroNet as a source in Alonnisos for just about any electronic product (I actually bought a new coffee grinder as well that day). 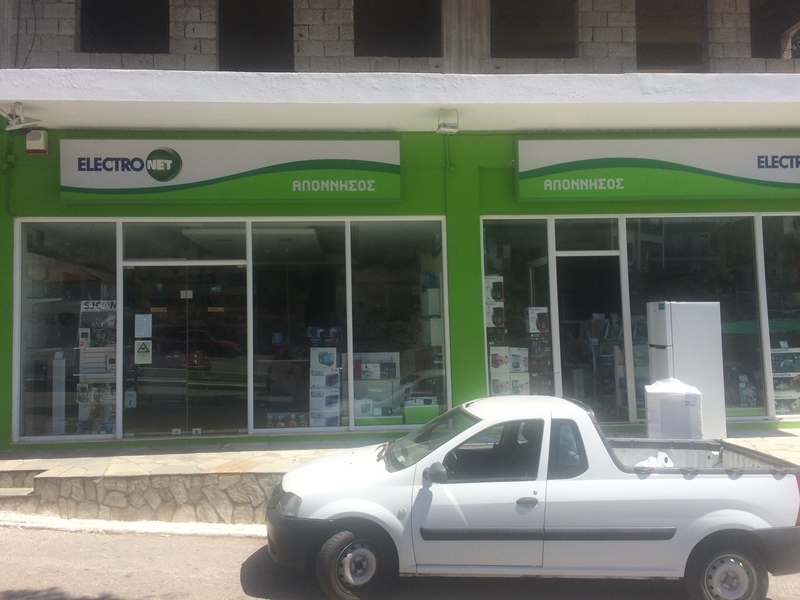 ElectroNet is located across from the car park near the big bakery on the main street heading up to the port. The telephone number is 2424-0-66069, and to contact the store via email, click here.